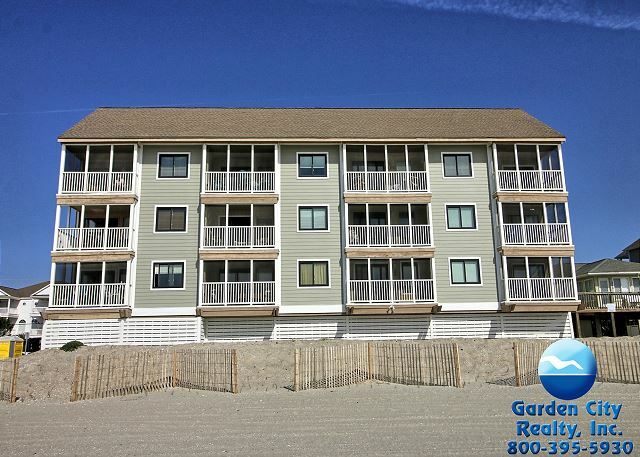 Sea Banks features one and two bedroom, one or two bath units. The condos are either oceanfront or ocean view and include a fully-equipped kitchen and living room with private screened porch. The one bedroom units also include a set of built-in bunk beds, not within the private bedroom. All units are furnished with a dishwasher, wall-to-wall carpeting and central heat/air conditioning. This complex does not have a swimming pool. Elevator included. NO PETS. Below is a list of properties we offer for rent in Sea Banks. Properties displaying "BOOK NOW!" are available to book based on your specific search parameters. Properties that do not display "BOOK NOW!" do NOT match your search parameters.